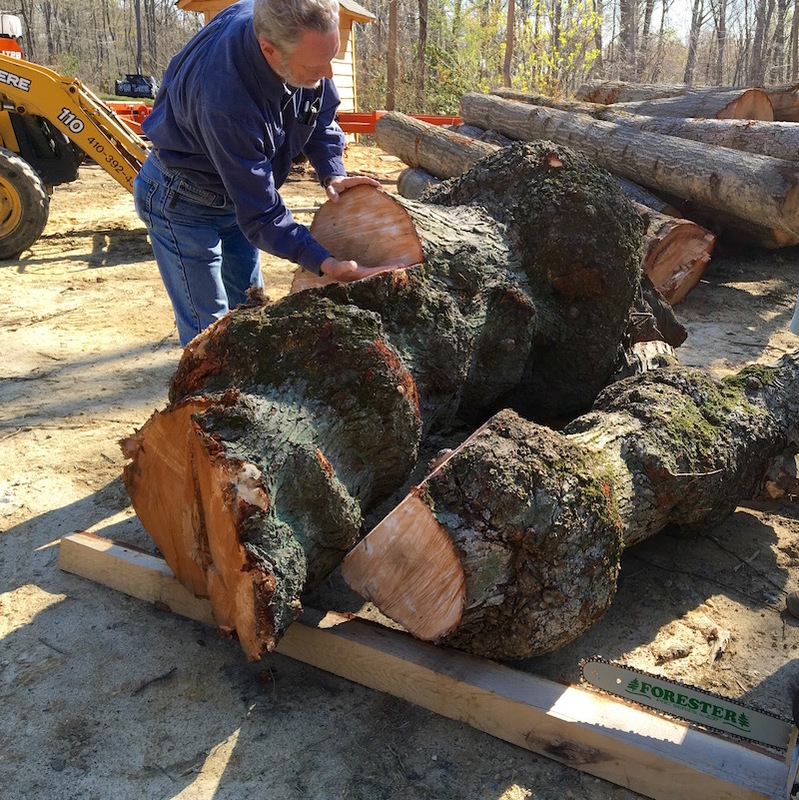 First State Woodturners was recently contacted by a homeowner in Wilmington who offered us a giant maple tree trunk that needed to be taken down. The trunk was approximately 45″ at the base and literally covered with burls. 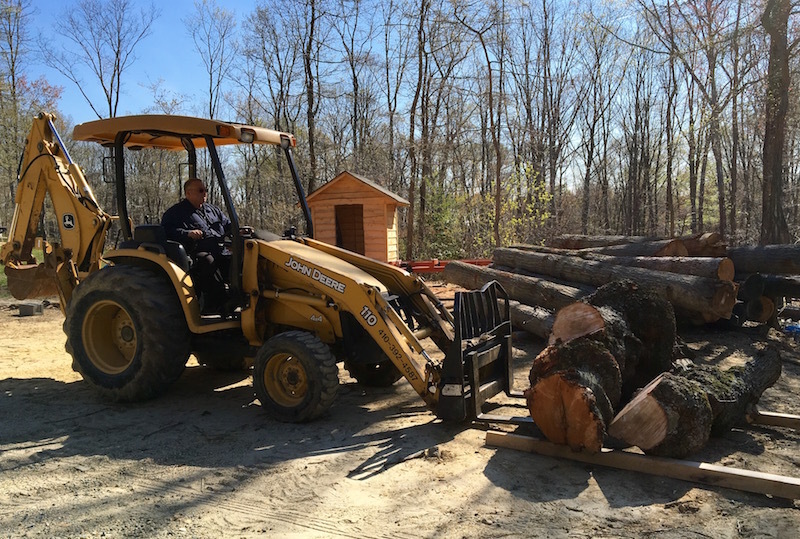 FSW member Eric Krum headed up the salvage operation, enlisting his neighbor John – who does tree removals – to assist in taking it down and transporting it. 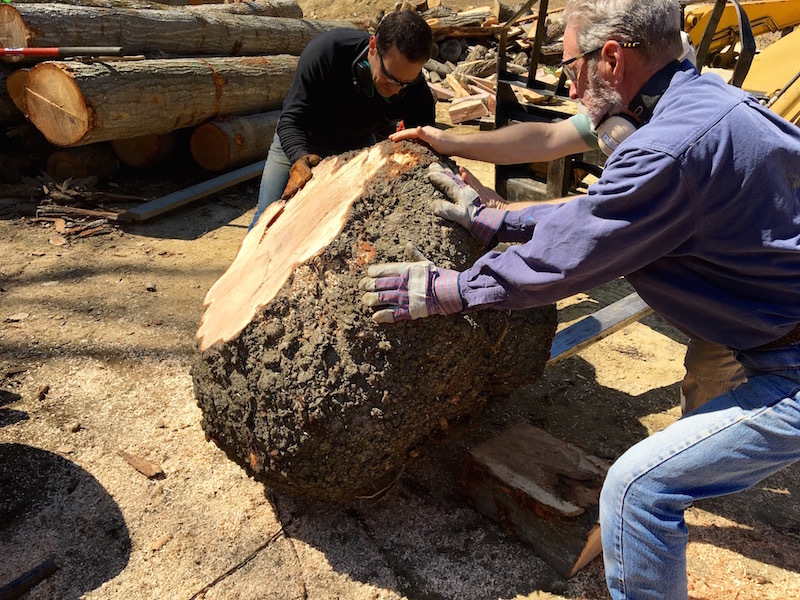 The following weekend, several of us met to cut up two very large sections of trunk into bowl blanks. We spent several hours milling and chainsawing the trunks into manageable-sized pieces. In the end, the four of us filled our vehicles to overflowing with some lovely burl blanks, many of them quite large. Thanks to everyone who pitched in! And a special thanks to the homeowner, Lance, in the Carrcroft neighborhood of Wilmington, for contacting us and allowing us to salvage and re-purpose this lovely wood!